Do you have a junk removal project in London that is giving you problems? If yes, you should consider our grab lorry hire services. We have been in the waste removal business for several decades now. This has given enough experience to handle all kinds of waste removal tasks. We aim at assisting you with professional waste removal services so that you can maintain a clean and safe environment. Our grab lorry hire services are available to all customers regardless of the size of their projects. We offer our services to businesses, construction firms, homes and more. With our large fleet of grab trucks, you can rest assured to have a smooth and effective waste removal process. We also understand that the success of every waste removal project highly depends on the driver. That is why we have taken the trouble to handpick the best drivers in London. They are friendly and highly experienced. So they can handle all kinds of projects with speed and professionally. At Green Light Skip Hire we strive to offer our experience and skill in order to ensure that everyone gets the kind of results they need. The other important reason why you need our grab lorry hire services is because you will be able to cut back on your expenses. 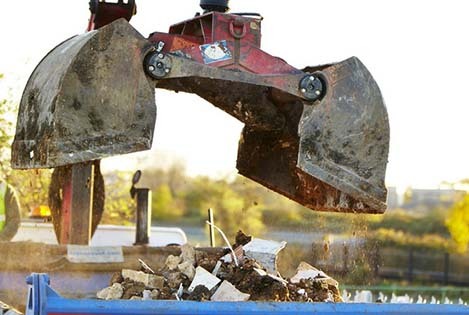 When you hire a skip, you need to obtain a permit from the local authority. Consequently, you will be required to spend more money on the entire project. But with a grab lorry you do not need to get a permit. You only need to ensure that the driver complies with the existing parking legislations. But you do not need to worry about the qualifications of our drivers because we have some of the best drivers in London. They understand and adhere to all traffic rules. Our grab lorry hire services are available on 24 hour basis. You can get in touch with us any time or day. we also guarantee you the most pocket-friendly rates.